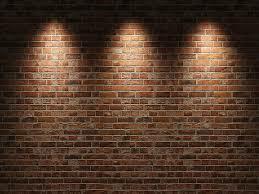 Meet my brick wall. Hi, wall. Can I get by, please? A strange thing happened to me in October last year. I found myself in a position that I had never been before: a story I was writing was off-track and I couldn’t see any way to pull it back. I pride myself on not doing that. I’m strict about continuity and sticking to the precedents and events that I have written into the story. The destination might change, but never the journey walked thus far. I push myself to be creative enough to write my way out of any particular gnarly situation I throw my characters into. All of a sudden, that wasn’t working for Starwalker. I knew where I wanted the story to go, the things I wanted to have happen, and it seemed to make sense on the surface. But the more I wrote it, the more it felt wrong. The tone was off, sliding into darkness and despair. There’s a place for that kind of tone and I’ve played with it more than once, but this was different. It was like the whole story was sliding down a dark hole (or, appropriately, being sucked into a black hole). More than that, I found I was pushing the characters harder than I liked. They were resisting the path I wanted them to take, and it was increasingly the fault of a big, looming being that they were facing down. More and more, the characters were becoming helpless, and the crew of the Starwalker are all capable, strong-willed people. Satisfying the outcomes are a result of at least some level of agency, not a lack of options that looks and feel a lot like railroading. When it comes down to it, I just didn’t like the feel of it or where it was going. The more posts I wrote, the more I couldn’t see it coming to a ‘good’ end (by which I mean an ending that would be satisfying for me and my readers). My readers were very kind. Some voiced concerns over the path the story was taking. Some expressed their unhappiness with the tone. None of them gave me a hard time about it. Eventually, I had to admit that I’d got the story into a place that it couldn’t recover from gracefully and put a stop to it. Maybe it took me longer than it should have to come to that realisation, because I’m stubborn about these things and I didn’t want to admit it. I despise retcons. But to save the story, that’s exactly what I was going to have to do. It’s not easy to admit that you’ve messed something up. When I wrote the post that let my readers know that I was going to reassess the path of the story and make some changes before moving forward, I was fraught with nerves. As supportive and forgiving as my readers are, this was going to be embarrassing at best, it was going to invite vitriol and criticism, and, at worse, lose me some of my readership. To their credit (not mine), my readers were wonderfully understanding and supportive. Some expressed concerns they hadn’t voiced before, concerns that gelled with my own feelings, and some gladness that I was addressing it. I cannot say how much of a relief that was, especially after how much I’d beaten myself up about it all. With that particular worry behind me, I was able to turn to the task of fixing up the story with a lighter heart. Throughout this process, I have thought long and hard about how I got into that place to begin with. How did things get so far off-track? How did I not spot it earlier and fix it? I don’t think there was any one cause. I can’t point at a single thing and say ‘you were the problem’. Part of it was that I was too committed to where I wanted the story to go. I’ve had something similar happen before, when I’ve had a clear idea of something I wanted to have happen, usually linked to a specific character, but it just didn’t work the way I thought it would. A character would have a particular need or drive that was at odds with my end goal, and either refused to do what I want or turned the tone sour. I could see that continuing would put them in an emotional place that wouldn’t work for a satisfying end, or it would taint that whole part of a story (for example, a character doing something because they have no choice, rather than being fired up and driven to do it under their own agency). When it happened that time, this feeling was my cue to adjust my plan. I rolled out the implications of what I could see, didn’t like where it was headed, and adjusted before it got mired into the wrong path. So why didn’t that happen this time? I think I pushed too hard, was too stubbornly holding onto my vision. I believed I could make it work. And, to an extent, I couldn’t predict just how dark and depressing the tone would get. My personal frame of mind at the time had a lot to do with that. That’s not to say that I was in a dark or depressed place: I’ve never been truly depressed in my life, and I’m immensely grateful for that. But I was in a difficult place, emotionally and mentally. My health around that time was not good. I was struggling with the fatigue (more than usual), and when that happens, my mental energy and attention span shrinks. I was pushing myself to keep up with everything, the serial included. Then there was the run-up to NaNoWriMo. Organising events, getting stuff in place, sounding enthusiastic and energetic on the forums, and being ready to hit the ground running from the Kick-off Party onwards. I had loads of help, but there were a lot of balls to keep an eye on. The Writer’s Retreat was a worry, because we weren’t getting the number of bookings that we were counting on (we wound up losing money on it in the end, but that’s another story). So when I say that my frame of mind might have impacted my ability to troubleshoot Starwalker’s plotlines, that’s what I mean. Juggling varying sources of stress and distraction while dealing with soul-sucking fatigue is going to have an impact, no matter how much I push to stop it from showing. I’m not blaming any one thing. I am grateful for my job, and while I’m under a lot of scrutiny right now, the challenge is good for me (and my career). I wouldn’t switch being an ML for anything; the work is completely worth it. The fatigue is something I try to manage and deal with, and I have to be honest with myself about my capabilities. It has also been almost five years since I started writing Starwalker. That’s a long time on a single project, and I think I was starting to get burned out on it. I have taken short breaks from it before – a month is the longest I’ve taken before, I believe – but spending that long on a single thing runs the risk of settling into unhealthy patterns. Ruts, habits, grooves, patterns: they can be good or bad, and with few mental resources to call on, I think I let momentum carry me forward in the week-by-week posting further than I should have. It’s telling that I had the mental capability to deal with other stuff but not Starwalker. So I wound up in a place that I couldn’t see my way out of, and I was so mentally drained in relation to the project that I wasn’t sure what to do next. So I called a halt to it. I admitted the position I had found myself in and put the story on hold while I took a break. I didn’t set myself a return date – something I always make sure I do – and only promised to return. I think I did the right thing. I put Starwalker on hold during the first week of NaNoWriMo, and freed myself to do something completely different for a month. I put up the author note and tried not to worry about it (I’m a worrier), and mostly succeeded. It was a much-needed break. It wasn’t about rest; it was about needing to do something else, something not Starwalker. I knew that it was the right thing to do as soon as the hiatus post went up and I could feel the weight lift from my shoulders. I was still bracing for any potential fall-out (which didn’t happen, thank goodness), but I had given myself permission to turn my attention to something else for a while, and it made all the difference. After NaNo ended and I put Vampire Electric aside again, I took a week to myself, then started looking over the troublesome parts of Starwalker. I wound up retconning seven posts – nearly two months of work – to get back to a place where I could adjust the story’s path sufficiently. All through the break, I had let my subconscious chew on the problem, as well as consciously pondered ideas and options from time to time. Once I had my restarting point settled, I was ready to get going. And I did. The break wound up being about six weeks in the end; posts resumed on Christmas Eve. It was actually a little later than I had hoped, but work was still insane and I wanted to make sure I restarted Starwalker right. I took the time I needed and I think the story is better for it. I still find the whole incident rather embarrassing. I strive to do better. Right now, I’m still juggling a lot of story elements and figuring stuff out as I’m going. A part of me wishes that I had taken more time to plan out the end of Starwalker Book 4 more thoroughly, but I think that’s fear from what happened. Over-planning kills stories for me, so I try not to. I try to have faith in myself that I can do this; I can find the ending that I want this story to have. So far, I think it’s going well. I have a good idea of where I want it to go, I’m adjusting things on the fly, and I’m excited to get the next part written. The tone is lighter, the pace is faster, and the stakes are higher. Here’s hoping I can pull the end of this book off well. Wish me luck! And strap in, it’s going to be a rocky ride. You set yourself quite a challenge — writing 2,000 words every week on a for entire story. Sometimes it’s easy and you’ll be able to write twice that amount. However, I’ve always found that I need to take time out to take stock of where I am in the story. I’ve come to realise that I could never do what you managed to do — keep updating week after week. Thank you for the warning. I’ll try to remember not to get too focused on the plan (and give my characters space to breathe life into the story). It is a challenge! I’m in the middle of writing up a post about pacing serial stories, which goes some way to explaining how I approach it. I do love it, though. The challenge is part of what works for me.